Selmax Exports Pvt.Ltd. 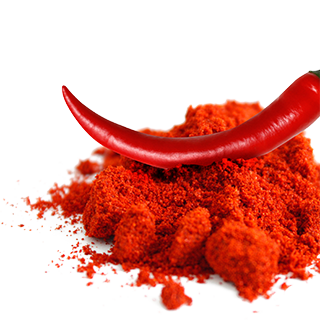 the chili powder supplier of India are known for our extravagant quality of chili powders and chili mixes and spices. We exercises our rights on quality and the various types of high grade chilies, to make our condiments to taste of exceled perfection. We deliver and supply chili powder to all countries at affordable market rates. Our long term experience and knowledge on the product makes us a reliable chilli powder supplier. We offer our customers the choice of bulk purchasing and container basis as per discussion. Our perfect on time delivery ensures that we deliver well within the designed time frame, irrespective of the demand load of location. Selmax Exports Pvt.Ltd. stands as a high ranking chilli powder supplier in India and Overseas, when it comes tp authentic grown cultivated and processed Indian Spice condiment. Whatever the food Soups, Sauces, Stews, Marinades, Curries, Enchiladas, Dry Rubs for Meat and Vegetables and even Casseroles our chilli powder tastes can literally leave you mouth watering. Made for the true love for spice. You can even accommodate our Chilli powder in making burgers and pizzas to enhance flavors. There are 2,224 International units of vitamin A, 4.8millgrams Vitamin C and several other Minerals. Other health benefits associated with Chilli Powder include relief from stomach aches, stuffiness, reducing triglycerides, relieving congestion, killing bacteria, blood circulation, promoting weight loss, treating headaches, toothaches and saliva production. With Selmax Exports Pvt.Ltd. as your chilli powder suppliers rest assured in quality and taste.